Murder behind the gates of Fremont Place was unusual; two children and a nanny slaughtered in the home of a rich young lawyer and his beautiful wife was unheard of. Shunned cop, Detective Finn O'Brien, and his partner, Cori Anderson, must connect the dots between the L.A. ladies-who-lunch, lawyers who skate on the edge of the law, pornographers, and Hollywood freaks. 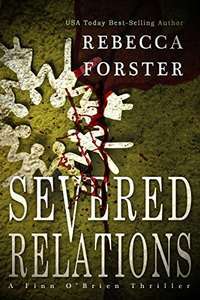 Following a trail of bodies and shattered relationships, they uncover a horrific truth behind the murders that will either bind them together for eternity or severe their relationship in the cruelest cut of all.